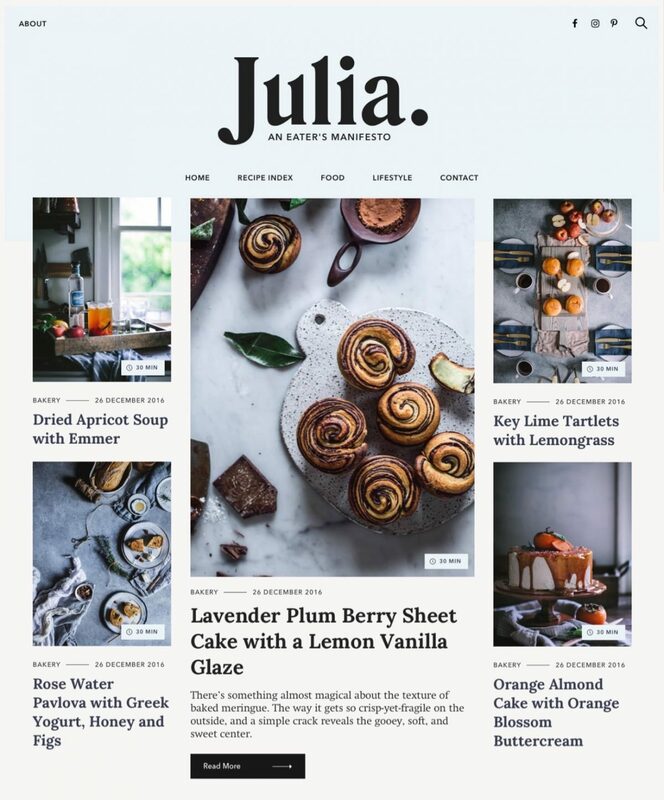 Julia is a food blogging theme for community builders who want to share their passion for cooking. Keep track of your recipes with our custom made recipe indexing system. Filter by Category, Course, Season and much more. Invest your resources in what matters most: food experiments. Make sure your best content gets in the hands of your community. In the end, this is how you can main­tain a healthy rela­tion­ship with those who read your food sto­ries. Gain far better control of your Home Page thanks to a widget‐based flexible system. Showcase the content that’s most appealing to your audience with a few clicks. Make money out of your blog in various ways due to our theme customisation adaptability. Choose the approach that fits you best and drives results. Create a culinary blog that makes people drool each time they visit your website.